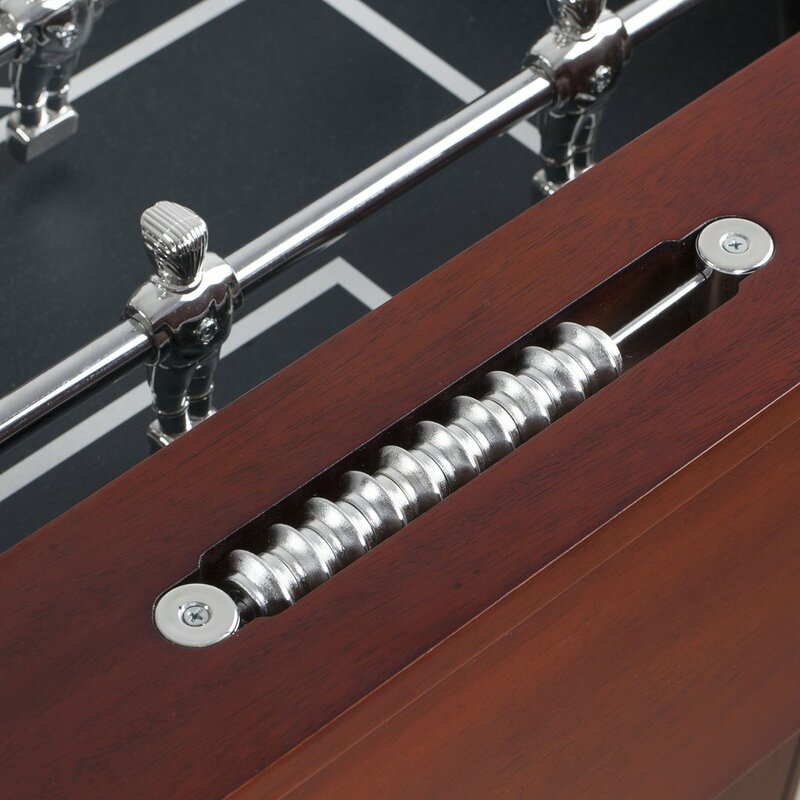 This Millennium Foosball table is crafted from solid Birch and Birch veneer hardwood handsomely finished in a high-quality rich Mahogany finish. Its elegant look and timeless design are certain to make a great addition to any room in your home. 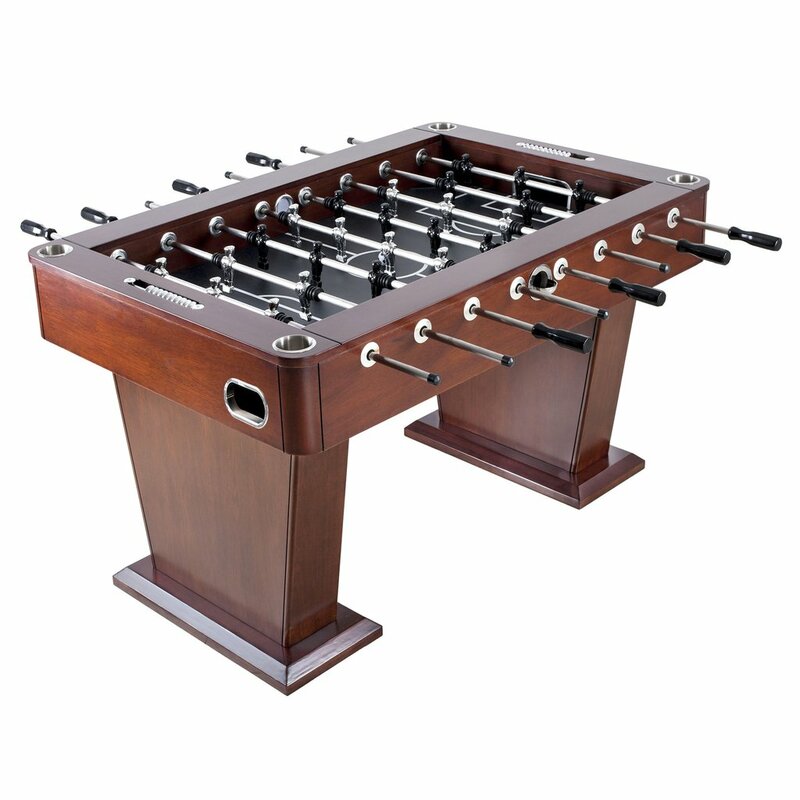 The sturdy tapered pedestal leg design and added base plate give the table rock solid stability, even during the most rigorous table play. 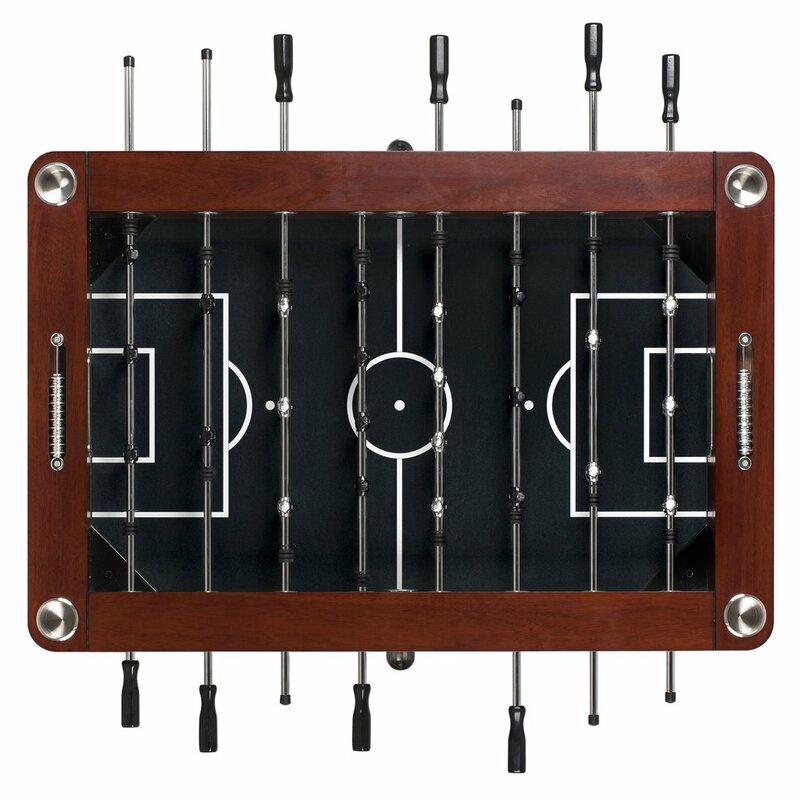 The high action playfield is fully cross-supported to ensure a true level surface for accurate table play. The stainless steel rods, E-Z spin bearings and auto ball return system help keep the ball in play for continuous fast paced action. 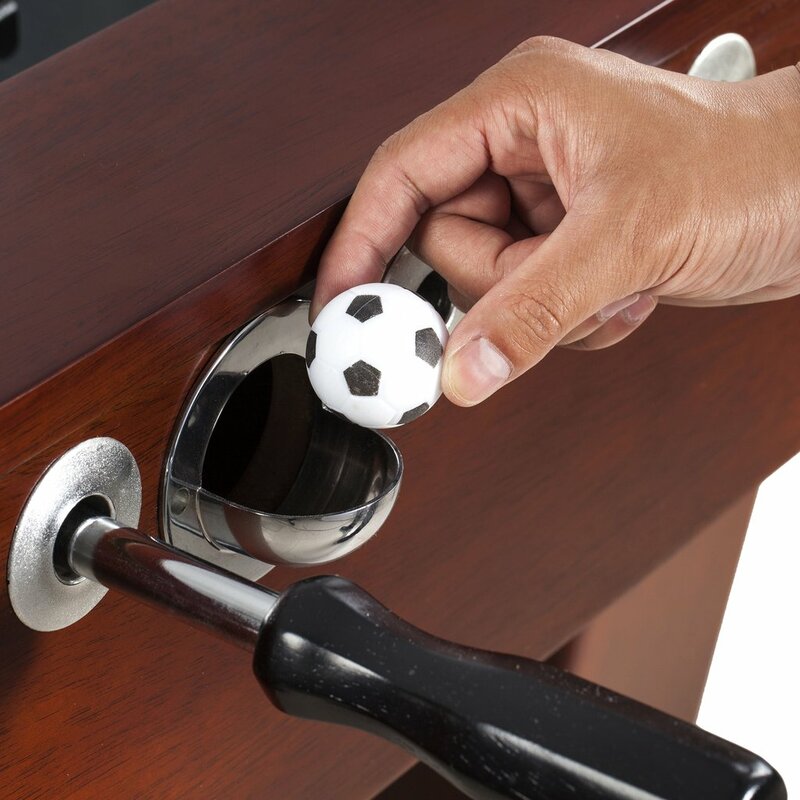 Other features include: ABS counter-balanced players, manual slide scoring counters, and convenient built-in stainless steel drink holders. 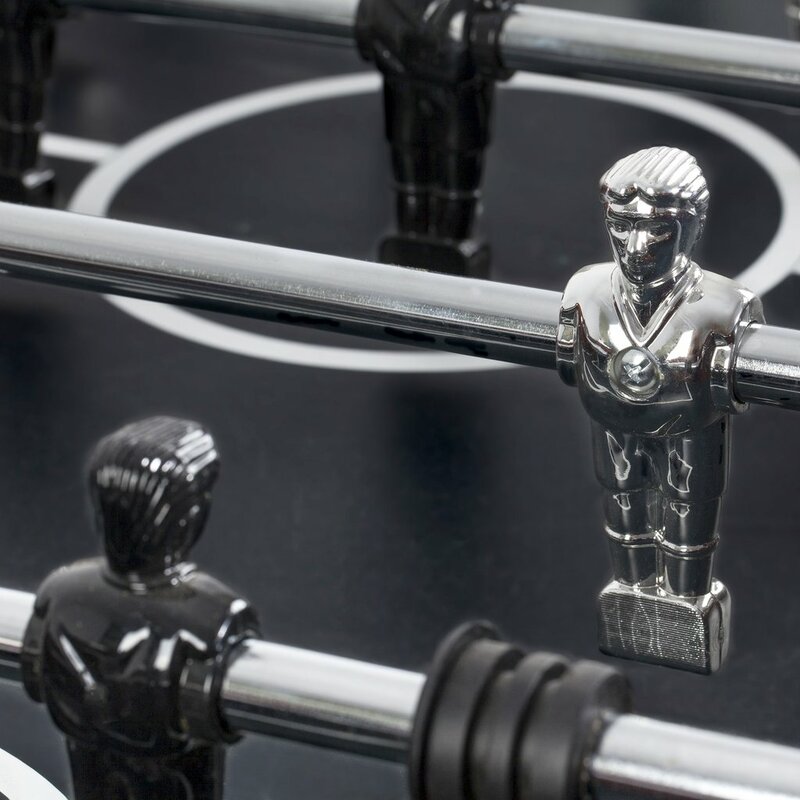 The Millennium foosball table was not only designed to look great, it was designed to play great! 180-day limited warranty.